Vaja continues to impress its leather sniffers by outing its popular Leather Agenda 2 leather folio case for the iPad 2 called the Leather Agenda. Why is Vaja charging you $220 for its new Leather Agenda over its Libretto for the iPad 2 that is priced at $160 and basically has the same exact functionality and style is beyond me. It might be because Vaja's Leather Agenda bares an elastic band for closure while the Libretto does not. So if you love the Libretto but want a secure closure system, pay an extra $60 and you have yourself an elastic band. 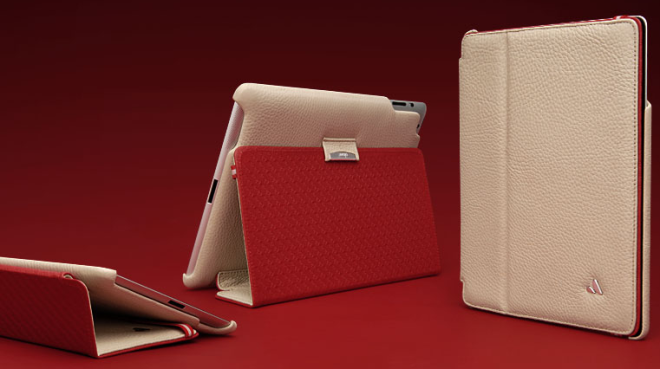 Like any other Vaja case, the Leather Agenda for the iPad 2 is fully color customizable and handcrafted. It's available right now and will take 35 days to handcraft until it will be ready to ship out straight to your door.